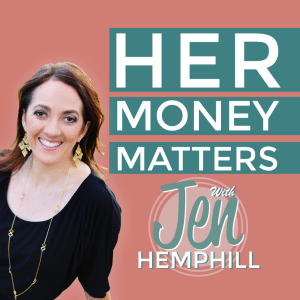 It’s been a long while in the making, and we’ve received some awesome requests over the past months so I’m very excited to announce that the first episodes of the Her Money Matters Podcast are now LIVE! Even better, we’re celebrating with a special ULTIMATE Money Kit giveaway for you, but more on that in a moment. 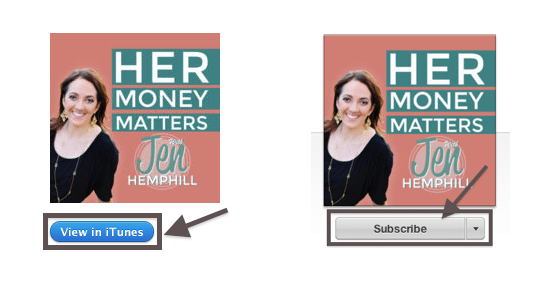 After hearing from many of you that you really enjoy other podcasts out there, and that you wanted to hear more about how to gain control of your finances, I started planning out this new podcast. Each episode will bring to you practical and simple money insights and we will also showcase women like you to share their real life stories in our interview episodes. To celebrate the launch of the show, pay it forward AND make this an incredible experience for you, I’m giving away my ULTIMATE Money Kit. It will give you the tools & training you need to overcome financial overwhelm and simplify this area of your life. 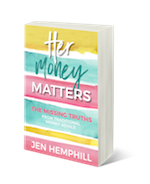 Plus, I’m throwing in my Personalized Money Success Tracker, a Money Attraction Journal Template and 2 PDFs(10 Money Hacks to Put More Money In the Bank this Month + a Financial Resources Cheat Sheet)! All of that is a value of $290 and if you are selected the lucky winner you get it for zero dollars, yes! Here’s how you can get the most out of the new show and submit your entry to win the giveaway! Everyone leaves with something :-). Tracking reviews on iTunes and who it belongs to is challenging to do (especially if your Apple ID is nowhere close to your name). 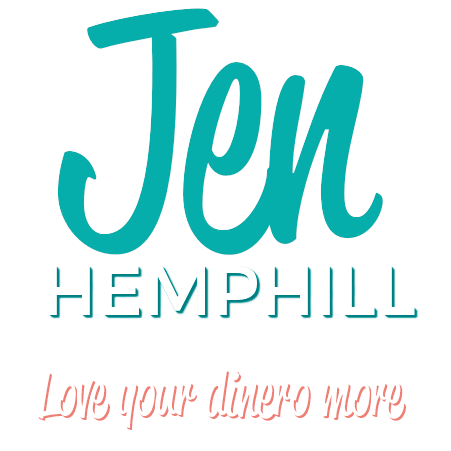 So you’ll simply submit your name, email and the title of the review you left in iTunes by sending a quick message to support@jenhemphill.com. Yep, it’s really that easy. Any honest review qualifies you to for this giveaway, and I’ll contact the winner by email, and announce it on an upcoming episode of the Her Money Matters Podcast! Thanks for checking out the new podcast and I’m very excited to share some incredible insights with you here over the coming months! Before you leave though, tell me what would you like to hear about in an episode? In the comments below, be sure to leave your name, general location (state or country), and suggestion/topic so I can give you a shout out in an episode!